The ability of television viewers to control and watch programs may be at stake when the U.S. Supreme Court hears arguments Tuesday in a copyright infringement case brought by TV networks against Aereo, a service that streams over-the-air television online. Justices will hear arguments from lawyers for 2-year-old Aereo and for a group of companies that operate TV networks, including ABC, CBS, Disney Enterprises, NBC Studios and the Public Broadcasting Service. 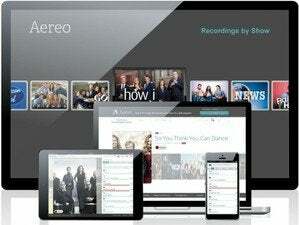 The plaintiffs argue that Aereo is infringing their copyrights by charging customers a monthly fee to stream over-the-air-broadcasts to their mobile devices and television sets. Aereo operates data centers filled with tiny TV antennas and leases each subscriber an individual antenna. Subscribers can watch live television or can record broadcasts for later viewing. Aereo, along with several tech trade groups and consumer advocates that filed briefs in support of the service, argues that the company is simply providing a better antenna and viewing experience for TV stations that are already given away for free over the air. TV viewers should have the right to watch TV when and how they want to, a group of consumer advocates argued in a brief to the Supreme Court. A decision against Aereo “could rip the lid off a Pandora’s Box” of copyright litigation, said Mark Cooper, research director for the Consumer Federation of America. It also could put many cloud storage services at risk because they, like Aereo, stand between copyright holders and consumers, he said by email. The networks argue that Aereo’s subscription model constitutes a so-called public performance of copyright-protected material under U.S. copyright law. While U.S. courts have ruled in the past that a homeowner sharing a radio broadcast with guests is not a public performance, and therefore is not a copyright violation, the TV networks argue Aereo should have to pay licensing fees to distribute the networks’ programs. For decades, U.S. law has required cable and satellite providers to get permission before rebroadcasting TV networks’ signals, lawyers for the networks wrote in their petition to the Supreme Court. “The broadcast television industry has invested billions of dollars producing and assembling high-quality and creative entertainment and news programming in reliance on this legal regime, which prevents retransmission services from free-riding on broadcasters’ investments and provides broadcasters with incentives for further investment and innovation,” the networks’ lawyers wrote. A year-old decision by the U.S. Court of Appeals for the Second Circuit, denying an injunction sought by the networks, “threatens to upend this regime by blessing a business model that retransmits ‘live TV’ to paying customers without obtaining any authorization or paying a penny to the copyright owners,” the networks’ lawyers wrote. Aereo’s service puts at risk the long-time cable retransmission payment model, worth an estimated $4 billion this year, lawyers for the networks argued. The Second Circuit’s decision “provides a blueprint for video on-demand providers, cable companies, and Internet streaming services to circumvent Congress’ intent and to avoid compensating copyright owners when they retransmit broadcasts of copyrighted works to their paid subscribers over the Internet,” they wrote. But the Second Circuit found that Aereo’s users, by making personal copies of TV programs for their own use, were not creating public performances. 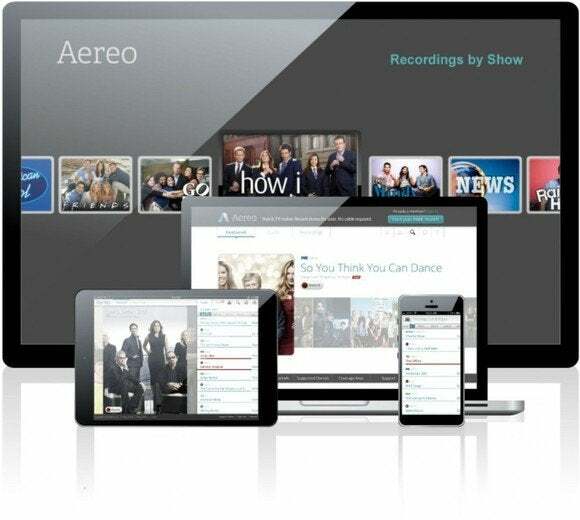 Aereo makes use of technology already found by courts to be legal, combing mini TV antennas, DVRs, and a Slingbox-like streaming service, Judge Christopher Droney wrote in the appeals court decision. Aereo, which is privately-held and backed by Barry Diller’s IAC and other investors, is available in about a dozen U.S. cities, including New York City, Boston, Houston, Atlanta and Miami, and the company plans to expand to more than a dozen more in the near future.